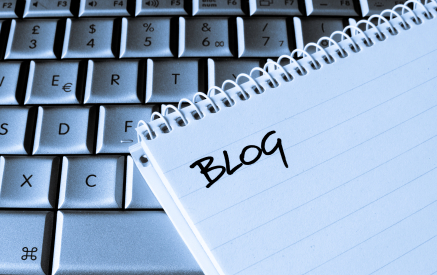 There are a few common misperceptions when it comes to creating blog content. Contrary to popular belief, you don’t need to be a writer to blog, nor do you need to actually have anything to say. After all, you’re creating digestible, disposable content that’s probably going to get skimmed. That is if anyone actually reads your stuff (and chances are, they won’t…particularly if it’s a corporate blog). But if the fact that blogging remains the least time effective and most labor intensive form of online communication doesn’t dissuade you, or if you’re solipsism is sated by any byline, here are 10 steps to creating a blog post. 1. Choose A Keyword: Many assume that it’s imperative to choose a topic to blog about. This adds an unnecessary level of complexity, because topics imply expertise or personal investment, and almost always more than 500 words to fully flush out. Keywords, on the other hand, are single words or phrases that are effective simply through repetition – and search engines reward keyword density. This is a fancy way of saying that the only audience that really matters is, in fact, an algorithm. The most effective way to find a keyword is to use Google Insights (because, c’mon, even Bill Gates doesn’t use Bing) and looking up the highest impact, lowest competition search terms. These are constantly in flux, so it’s nice to verify how well these keywords resonate by cross-referencing their frequency on Twitter. You will quickly see that an article on Justin Bieber is going to have more impact than, say, if you were to post the cure for cancer, but remember: When it comes to blogging, it’s not about what you want – it’s about what the people want. And turns out, it’s generally the lowest common denominator. This means that if you’re tasked with the unfortunate job of actually having to blog for business, you’re pretty much out of luck unless you can figure out a really creative way to incorporate current events or celebrity gossip. Which might explain why so many editorial calendars essentially overlap the Gregorian one. 2. Choose A Number: Now that you’ve got a topic figured out, you’ve pretty much added the noun to the Mad Lib that is the blogging genre. Now, it’s time to pick a number, preferably a multiple of 5, or the number corresponding to the current calendar year. The lower the number, the less you have to write. 3. Add The Phrase “How To”: Remember, blogs aren’t designed to get people to actually think, only give the illusion of intellectual edification, kind of like Sudoku or majoring in a liberal art. And they want advice, not opinions. This is why the phrase “How To” is a blog title’s best friend. 4. Choose A Verb: Because every complete sentence needs a verb. This is a good place to work in some buzzwords, like engage, or innovate or lead. And while it’s not covered by Strunk & White, the correct tense when creating a blog title is always the present – mostly because action verbs make for more effective tweets. 5. Combine Steps 1-4: The formula is simple: How To + Verb + Number + Keyword = good blog title. For an example, see the really big, bold text at the top of this story. 6. Write A Specious Lead: The eye is naturally drawn to white space, a phenomenon well understood by effective cinematographers, bloggers and segregationists. That’s why you shouldn’t think of your audience as readers, because most will avoid any text block and simply scan for bolded text. 7. Create A List: Lists are the best way to work in a bunch of bolded text without anyone being aware that you’re essentially psychologically manipulating them. The exact number of your list should correspond to the number you’ve selected in step two, but don’t worry, you can always change your number if you have too much or not enough content. If that number is less than 10, you’ll need to craft some copy to accompany the bolded text so that people think there’s really more there and you actually put some time and thought into this post, even if they’re not going to fall victim to the same trap. Joke’s on them – this is where you work in the keyword you’ve identified in step #2 to help boost SEO. If the number is greater than 10, people will assume you’ve put so much time into putting the list together that it’s OK if you don’t have any copy to accompany it, but you’ll likely need to lay off the bolded text in favor of white space. But that’s OK, because people are more likely to scroll down with their cursors than scroll across with their eyes. 8. Add Quotations and Links: “This not only helps free up space, but also gives the illusion of external expertise, even if there isn’t one present,” according to a completely arbitrary source that you’ve never heard of. But that’s why you add links, according to blogger Zahid Lilani, who I hadn’t heard of before Googling “Linkbacks in Blogs.” Lilani’s post, 5 Simple Ways To Get Linkbacks for Your Blog, is the top ranking result, and proof that he probably gets the concept – and the numbered list formula for blogging success. 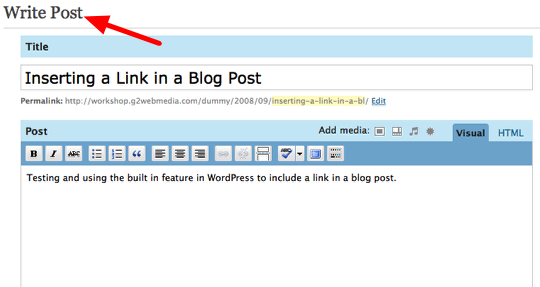 Then, add some links to your own blog posts – but not too many or people won’t click on them, which is the entire point. And don’t worry, the internal links you use don’t actually need to have anything to do with your selected anchor text. Worth a thousand words (and one trackback, courtesy of blogforprofit.com. If you don’t have anything profound to add in your wrap-up, consider saying something snarky. Although as this list should demonstrate, that’s pretty overrated.